The End Times have come. Archaon Everchosen marches on the city of Middenheim, and if he captures it, the key to the Chaos gods’ ultimate victory will be his. 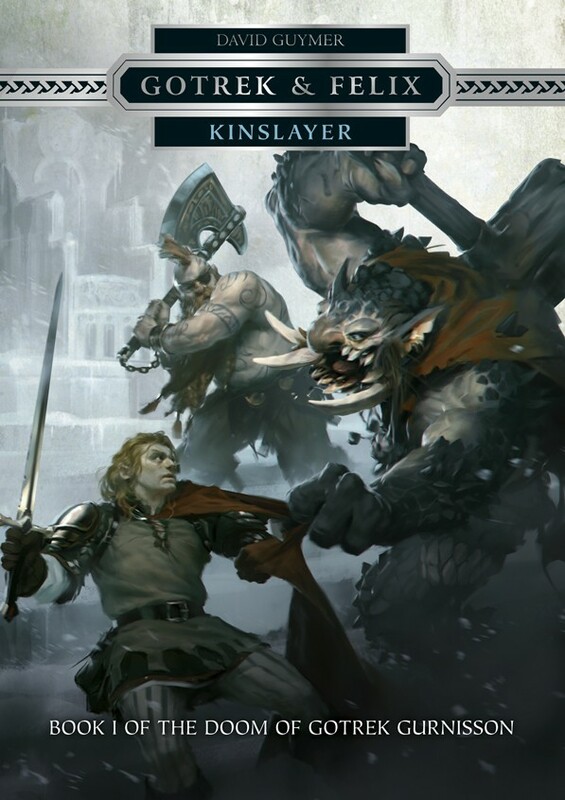 The last heroes of men, elves and dwarfs gather to stop him, but to stand against the hordes of the Ruinous Powers, they must turn to darker allies. Against all reason, the last hope for the world may be the Undying King, Nagash himself – if he and the mortal races can find common cause and work together. If they cannot, Archaon’s plan will come to fruition and the world will be consumed by Chaos. The End Times are coming. 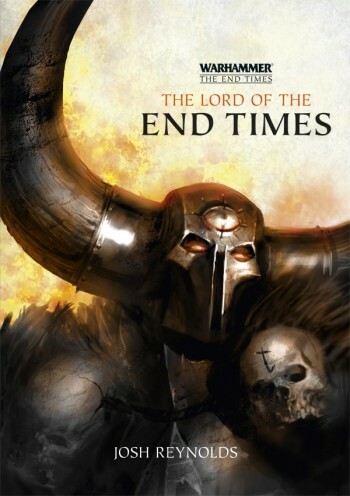 With Naggaroth besieged by the hordes of Chaos, the Witch King Malekith makes the decision to abandon the Land of Chill and make one final attempt to seize the throne of Ulthuan. As the druchii march upon the soil of their ancestral home once again, long-laid plans come to fruition and treachery blooms, bringing Malekith closer than ever to his goal. 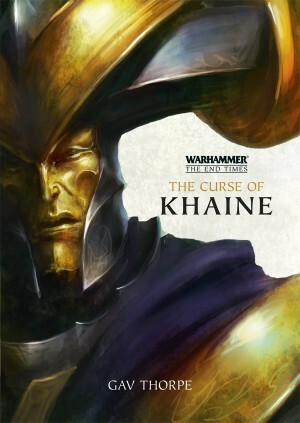 All that stands in the Witch King’s way is the Regent of Ulthuan, Prince Tyrion, and the darkness within Malekith’s own soul, the call of the Curse of Khaine. The End Times are coming. With the hordes of Chaos marshalling in the north, Emperor Karl Franz leads his armies in defence of his realm. 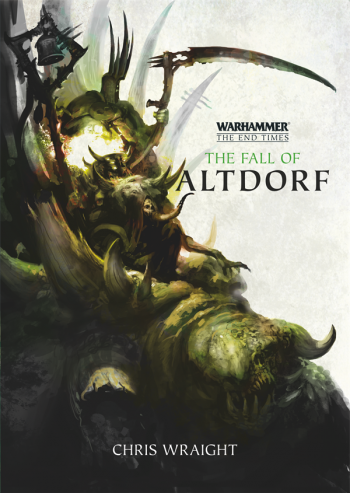 But when the worst happens and the Emperor is lost, it falls to Reiksmarshal Kurt Helborg to return to Altdorf, capital of the Empire, and prepare to meet the forces of the Ruinous Powers in a final battle for that ancient city. As plague spreads and the defences weaken, all seems lost, until help arrives from a most unexpected source… if Helborg can bring himself to accept it. First DC Comics brought us Future’s End, and also Convergence. Marvel comics brought everything sort-of-not-really to an end (so they can have another new beginning-that-isn’t-a-reboot-we-promise). More relevant to this post, Black Library/Games Workshop also brought us the End Times. It would appear that 2014/15 is the year to bring everything to an end so we can start anew. DC and Marvel’s reboots aren’t particularly game-changing — yes, there are some major changes, but functionally everything’s staying pretty much the same, save for Marvel’s series naming strategy, which is moving in a direction that looks like parody: “All-New” is becoming “All-Different All-New”… Which is something I joked about last year. So, +1 divination/prediction for me. The End Times are coming. 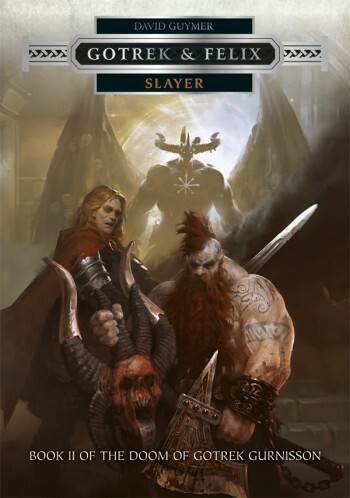 As the forces of Chaos threaten to drown the world in madness, Mannfred von Carstein and Arkhan the Black put aside their difference and plot to resurrect the one being with the power to stand against the servants of the Ruinous Powers and restore order to the world – the Great Necromancer himself. As they set about gathering artefacts to use in their dark ritual, armies converge on Sylvania, intent on stopping them. But Arkhan and Mannfred are determined to complete their task. 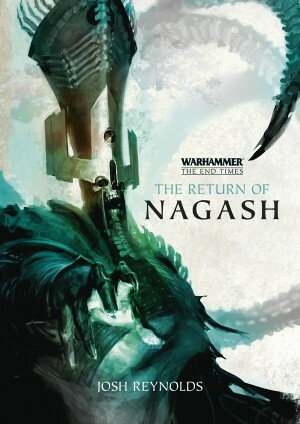 No matter the cost, Nagash must rise again.